If you are unemployed, underemployed, seeking a better career path, have a goal to move up in your current place of employment or starting your own business, it’s time to TAKE ACTION. Career Coach Chandra provides face-to-face and virtual career coaching workshops, webinars and private sessions designed to propel you ahead of everyone else who is in a career search. How serious are you about accelerating your progress in your career search or starting your own business? Are you willing to take “organized and structured” action to get faster results? Join our Take Action-Get Results Career Search Accountability Team today and see how fast you propel into your new position! For companies seeking increased performance from their employees, we deliver a variety of on-site and virtual training programs. The workshops are customized to support a company’s goals, values, beliefs and corporate culture and contribute to highly productive and motivated teams. 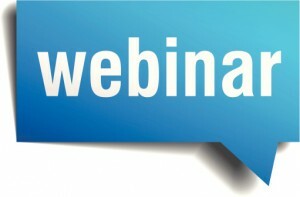 Do Not Miss Our Webinars and Live Events! Coach Chandra has changed the career paths of clients worldwide. Ms. Chandra Russell provides spirited debate and challenging workshops as she helps us gain the skills to become better leaders. We spent eight hours with her and we stayed so engaged and focused, it felt like eight minutes." Thank you Chandra, you've added value to my career! "If you've EVER given thought to having your resume redone, this is the coach and this is the time!! Chandra is absolutely awesome!!" I am seeing my dreams come to fruition. I couldn't have done it without Chandra! "Chandra gave me the professional resume I needed to jump start my job search. My 25 years of Professional Experience, Achievements and Awards are highlighted in 2 pages. I couldn't have done it without Chandra!" "My coach, Chandra Russell, for encouraging me and instilling in me that anything is possible if I believe". She always has a winning strategy. "Chandra, I can't find the words to say Thank you - you saved me. Everyone loves my Resume. You have made the process so much easier for me. Thank you so MUCH!"